We're suckers for anything Ringo here at Rhythm. 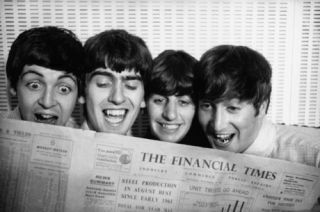 So, you can imagine our delight at news that a new book all about The Beatles is on the way. Even better, Fab Four FAQ 2.0 focuses on each Beatle's solo career during the '70s, giving an insight into some of Ringo's often overlooked output. Not only that, but we're hoping it may also give us a few tips on how he has amassed a £140 million fortune, making him the UK's richest drummer. The period covered in the book saw the iconic drummer release seven studio albums, of which 1970's Sentimental Journey and 1973 record Ringo proved most successful. Those keen to read all about Ringo's stint voicing Thomas The Tank Engine will have to wait, as he didn't bag that particular gig until 1984. More on Fab Four 2.0 as and when we get it.